To perform track work between College Station and Shiloh-Scott Station, regular MetroLink service will end at College Station for the Red Line Monday through Thursday nights (July 8-11) and Sunday night (July 14) beginning at 8 p.m. until the end of service. Customers who normally park at the Shiloh-Scott Station are encouraged to park at the College Station on the affected dates to avoid delays after 8 p.m. Baseball fans who usually park at the Shiloh-Scott Station are also encouraged to park at College Station on July 9 and July 10 to avoid the delays. This schedule is expected to continue Monday through Thursday nights and Sunday nights through September. 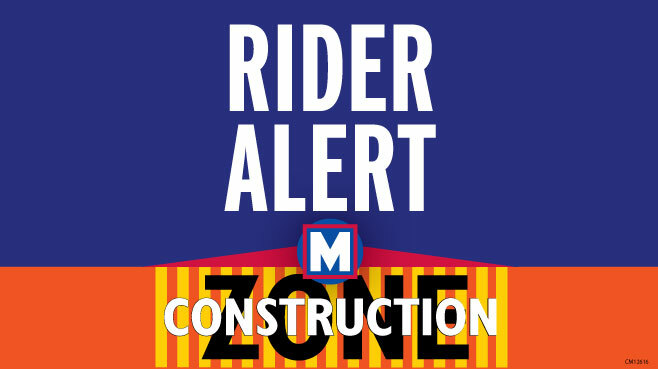 MetroLink crews will conduct platform maintenance work at the North Hanley Station starting at 8 p.m. on Friday (July 12) and from beginning of service until the end of service on Saturday and Sunday (July 13 & July 14). 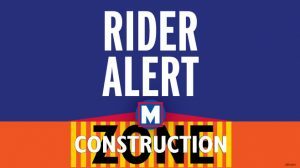 To accommodate the work, MetroLink will single track at the UMSL South, UMSL North, and North Hanley Stations. Red Line passengers may experience delays of up to five minutes. Blue Line service will not be affected.